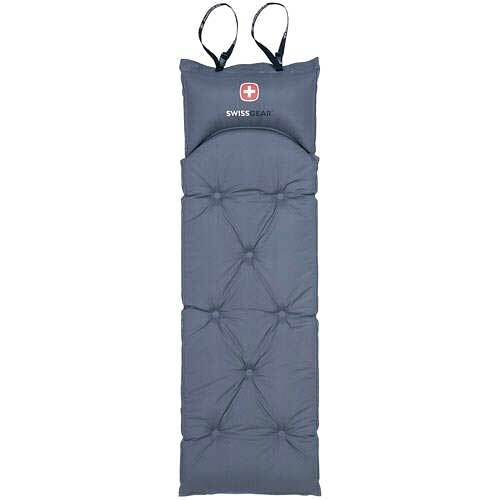 The SwissGear self inflating mat is sized to ensure your next campout is a comfortable experience. The extra long and wide size (76" x 26") allows for all users to gain that extra comfort that makes for a great night's sleep. Simply open the valve and let the mat inflate. Close tightly and you're ready to rest. Packing & storing is a breeze. Simply open the valve, roll up and secure with the attached compression straps to store in a small convenient size.